Winnie and Sylvia were almost 2 years old when they died. Lisa Bakos, the owner of Fine Fowl Farm had purchased them from a local feed store, where she raised them from when they were just 2 days old. 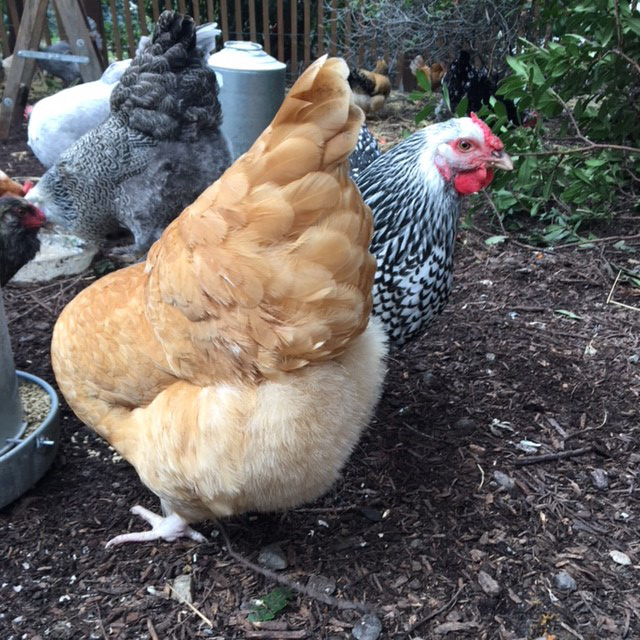 Neither hen had any previous history of ill health or difficulties with egg laying. They both appeared to be just perfectly normal and healthy hens. Sylvia, a Silver Laced Wyandotte, was the alpha hen of the flock, who was very diligent about looking out for the other birds. Before Bleu the rooster arrived, Sylvia wouldn’t go inside to perch for the evening until every last hen was safely accounted. 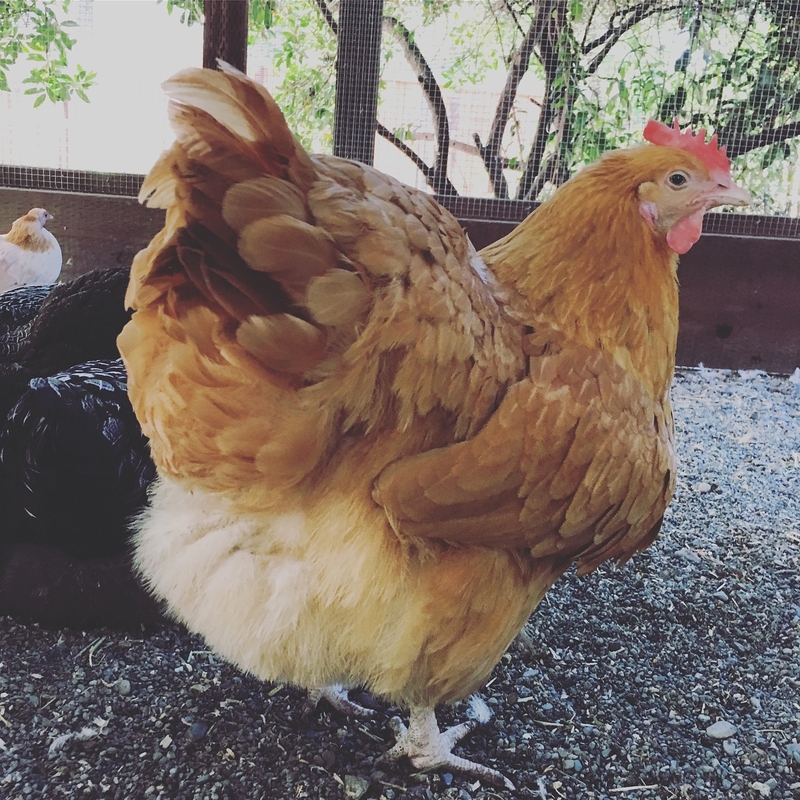 Winnie, a Buff Orpington, was a sweet, affectionate little hen who was closely bonded to Bleu, and hung out often with Sylvia and 5 other hens who had their own ‘clique’. The clique stuck together at all times---in the scratch yard, the dust bath, and on the nightly perches too. 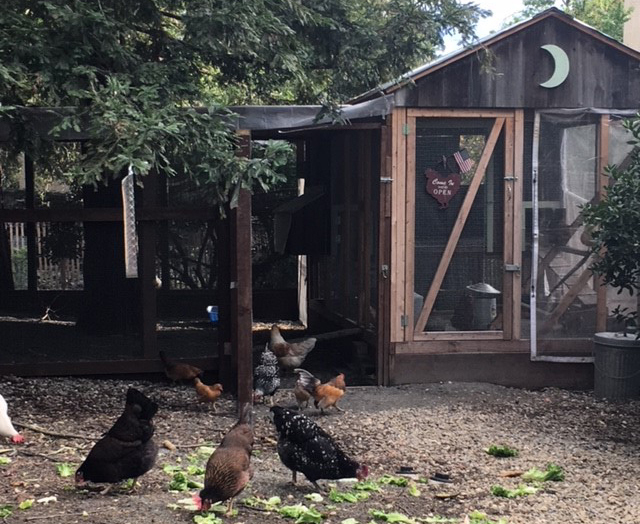 The Fine Fowl flock consists of approximately 38 chickens and 10 ducks who live together in harmony in a 27’ x 14’ coop and ½ acre pasture in Northern California. 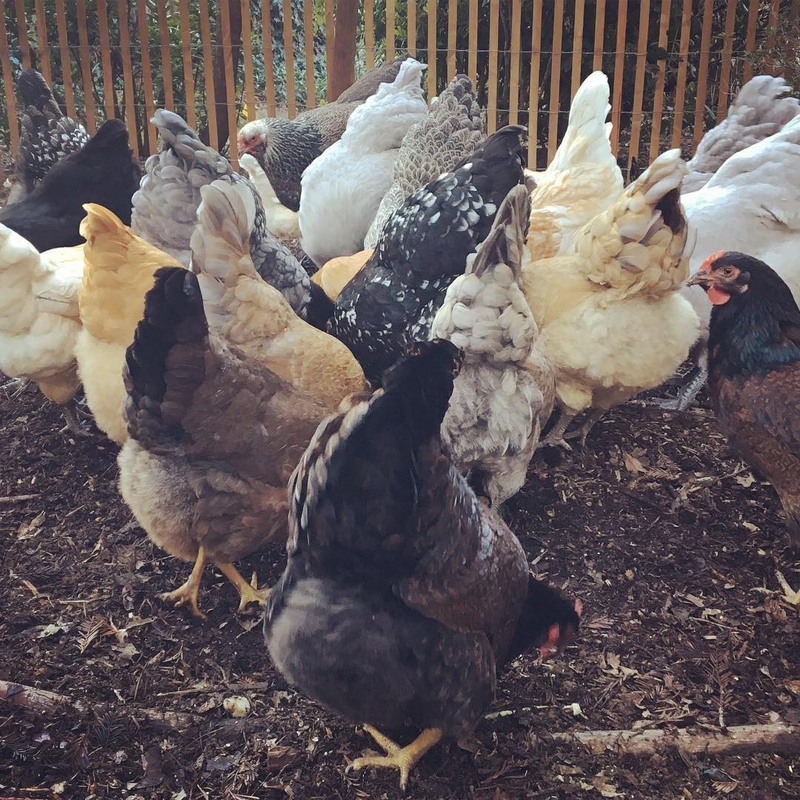 The birds are given free range access to the pasture during the daylight hours each day, and are fed a quality commercial laying hen feed combined with a daily source of dark, leafy greens. This past winter of 2017-2018 was much colder than normal in Northern California. Temperatures were consistently getting into the low 30s (below zero degrees Celsius). As an added ‘treat’, to help provide the flock some more calories to get through the unusually cold winter nights, she started adding some additional scratch to their diet. She purchased the scratch from her local feed store, which consisted of cracked corn. Lisa fed about 5-6 handfuls of scratch to the birds twice a day, once in the morning and again late afternoon before they perched for the evening. Since Sylvia was the alpha hens of the flock, and Winnie the second in command, they were always the first in line whenever the scratch was being given to the flock. As such, they always consumed more scratch than the other members of the flock. 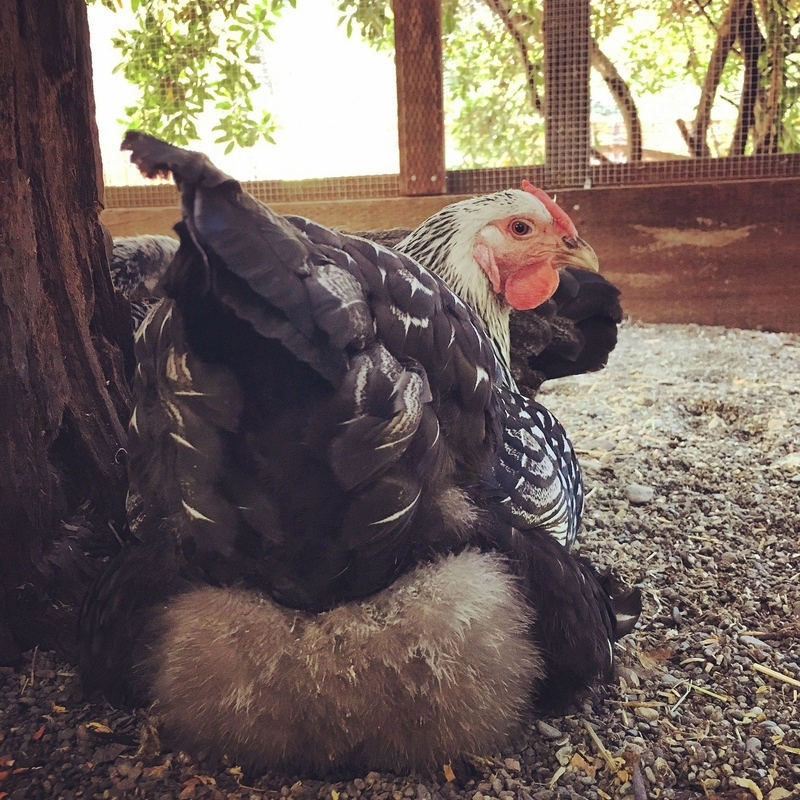 About two months later, on January 8th (on a Monday), Lisa let the flock out of their coop one morning and noticed that Winnie was acting a bit lethargic. Lisa was concerned. She gave Winnie a thorough look over, and didn’t notice any injuries or other signs of illness. Lisa set the hen up in a hospital recovery pen, where she had easy access to feed and water, so that she could closely monitor her for any changes. If her condition didn’t improve by the end of the day or she declined any, she’d arrange to take her to the local veterinarian. Unfortunately, a few hours later Lisa came to check on Winnie and found that she had passed. Wednesday afternoon (January 10th), Lisa was checking on the birds and noticed that there was something wrong with Sylvia. The hen who would normally be outside foraging with the others, was inside the coop on her own, trying to perch. However, she seemed a bit wobbly. Lisa brought her inside and looked her over, and noticed the hen felt much heavier than normal. Seeing as Winnie had just died a couple days earlier, Lisa was afraid that there might have been a bacterial infection of sorts and administered a shot of penicillin. Within 30 minutes of giving her the antibiotic, Sylvia died in Lisa’s arms. Since Sylvia was the second bird to die on the farm within a two day period, Lisa was concerned that her other birds might be at risk. She had already buried Winnie’s body, however since she still had Sylvia, she drove her body to the UC Davis California Animal Health and Food Safety (CAHFS) Laboratory for a necropsy. Sylvia’s necropsy revealed gross findings consistent with a diagnosis of Fatty Liver Hemorrhagic Syndrome (FLHS). 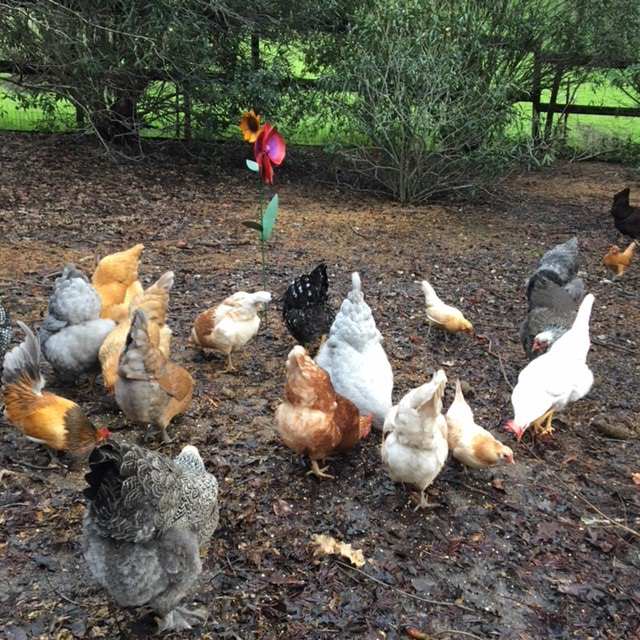 FLHS is a common metabolic disorder seen in backyard laying hens which has been thought to be similar to non-alcoholic fatty liver disease (NAFLD) in humans. The liver metabolizes fats, proteins, and carbohydrates and detoxifies metabolites and ingested toxins. With FLHS, it results in an accumulation of excessive amounts of fat in the liver which has an impact on organ’s ability to complete these functions. The reason why hens are particularly susceptible is because they experience a dramatic estrogen-induced increase in liver lipogenesis to supply the developing ova required to lay an egg. FLHS has been associated with obesity and the consumption of a high-fat, high cholesterol diet, usually a feed with corn as the predominate ingredient or scratch, they are at an increased risk of developing FLHS. Corn, especially cracked corn, is also frequently contaminated with mycotoxins, particularly aflatoxins, which also leads to an increased risk of FLHS. Bottom line: Don't feed cracked corn to chickens. 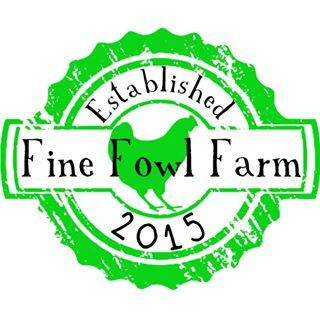 Follow Fine Fowl Farm on Instagram @finefowlfarm! UC Davis California Animal Health and Food Safety (CAHFS) Laboratory is the backbone of California's Warning system that helps to protect the health of California's livestock and poultry. CAHFS serves the people of California by safeguarding the public health with rapid and reliable diagnoses for animal diseases including those affecting humans. CAHFS operates in partnership with the CDFA, UC Davis, veterinarians, and livestock and poultry producers. 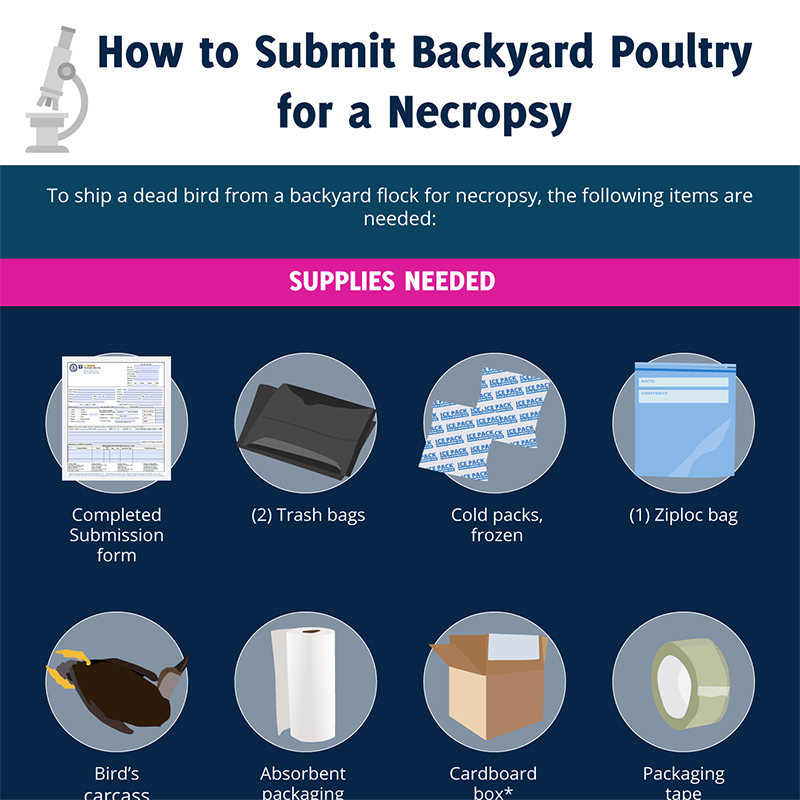 One of the many offerings provided by the CAHFS to their California residents at a discounted rate are specialized necropsy examinations for birds from backyard flocks.